Authorities reportedly did not allow Arvand a visit with his family prior to executing him. Confirmed sources say the authorities had previously communicated to Arvand that his death sentence was commuted to life in prison. Iran Human Rights condemns the execution of Mansour Arvand and calls on the Iranian authorities to try individuals who have been arrested and imprisoned for politically motivated offenses fairly and openly in the presence of reporters and a jury. The House has unanimously passed a resolution urging Iran to release three Americans jailed in that country and provide information on a fourth who is missing. Lawmakers pushed Iran to free the Americans, especially if it wants the U.S. to sign a nuclear deal and relieve sanctions against the Islamic republic. Former FBI agent Robert Levinson went missing in 2007 while working for the CIA on an unapproved intelligence mission. Washington Post reporter Jason Rezaian has been held for more than 300 days for alleged spying. Pastor Saeed Abedini was arrested in September 2012 and later sentenced for holding a Bible study session. Former U.S. Marine Amir Hekmati was arrested in 2011 and sentenced to death for alleged espionage. His sentence was later reduced to 10 years. In his latest reaction to consecutive cancellations by the Iranian Police and the Judiciary of music concerts, President Hassan Rouhani condemned the cancellations and said such actions violate the people’s rights. At a press conference marking the second anniversary of Rouhani’s election to office, a reporter asked him about the widespread cancellation of concerts over the past year, and particularly those during the prior week. “In the cultural domain, we believe cultural affairs should be relinquished to the people of culture, and the atmosphere must be facilitated so that consumers and producers of cultural works can meet. When a government organization has been delineated as the body to issue licenses, it is not appropriate for others to intervene…When, within the legal framework, a concert is issued a license and people buy tickets, such interventions not only violate the rights of the producers, but also violate the rights of the public,” Rouhani said. “From our point of view, when a legal license is issued, revoking that license by an organization that does not have legal power to revoke it is a completely inappropriate act, and in cases where the Judiciary enters, there must be legal justification for such entry by the Judiciary,” the President emphasized. The cancellation of a June 10 concert by the musician Homay and his ensemble, Mastan, followed on the heels of another cancellation of a concert by the Iranian Kamancheh master Kayhan Kalhor “on judicial orders.” No explanations were offered on which judicial official ordered the cancellation or the reasons for it. The Homay concert which was scheduled for five nights beginning on June 10, was cancelled a few hours before its first show at Tehran’s Milad Tower. All of the cancelled concerts had received licenses from Iran’s Ministry of Culture and Islamic Guidance. Parvaz Homay had not had a concert in Iran in eight years, therefore tickets for his concert sold quickly and the concert was extended for several more nights. The producer for this concert sent text messages to ticket holders, informing them of the cancellation and telling them that their tickets would be refunded. In an interview with a music website, Kayhan Kalhor said that he would not hold any more concerts in Iran, in protest of the cancellation. “These concerts will not be rescheduled. So long as Iran’s culture and arts are hostages in the ransom-taking and power struggles of political factions and no clear guidelines are defined and enforced for such activities, I will refrain from doing anything in Iran,” he told the Moosighiye Ma website. ISNA reported that Brooklyn Rider had been granted visas and their entire trip to Iran had been organized. The cancellation has caused a huge financial burden for the producers. 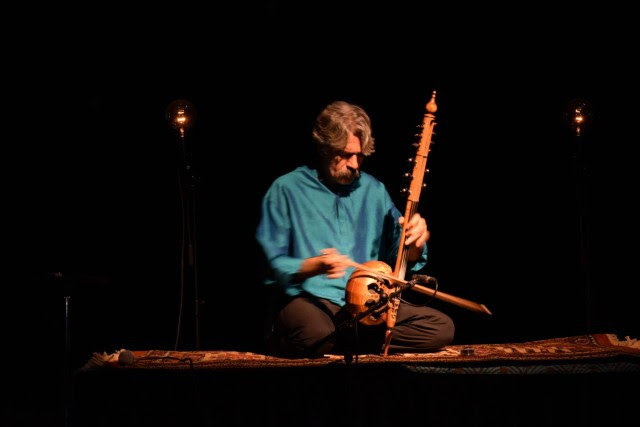 Pirouz Arjmand, Head of the Music Office of the Ministry of Culture and Islamic Guidance, said after the Kalhor concert cancellation that, “Refusing licenses to foreign bands [that wish to perform in Iran] is contradictory to the state’s plans for cultural engagement with the world. The Police have to be accountable for this decision. We had received the proper approvals from the Ministry of Foreign Affairs.” Mr. Arjmand also told Tasnim News Agency that this was not the first time concerts by foreign bands had faced problems in Iran, and that a proposed concert by the France-based Gypsy Kings group still awaits permission from the Public Building Office of the Iranian Police. Within an hour after these statements, however, the concerts for Homay and for the Payvar groups were cancelled without explanation. Mehr News Agency announced on June 10, that a concert by the Payvar ensemble with vocalist Vahid Taj had been cancelled again. This concert had previously been cancelled on April 30 and May 1, 2015, and rescheduled to June 11. Cancellations of concerts featuring female vocalists and musicians have been particularly frequent since Hassan Rouhani’s 2013 election. Iran’s beloved Master of traditional Persian music, Mohammad Reza Shajarian, said at an international gathering in Tehran on May 5, 2015 that he was banned from performing in Iran. “I live in a country where I have not been allowed to sing for my own people for the past several years,” he said. Millionen Familien mussten ihr Zuhause verlassen. Krieg, Gewalt und Verfolgung ließen ihnen keine andere Wahl. Millionen Mütter, Väter, Schwestern, Brüder – die auch Studierende, Musikerinnen, Köche und so viel mehr sind. Flüchtlinge sind Menschen wie Du und ich, die schwierige Zeiten erleben. Bitte unterstützen Sie uns dabei, diese bemerkenswerten Menschen anderen vorzustellen…..
11 prisoners charged with drug offenses were hanged in Karaj’s Ghezel Hesar Prison (west of Tehran) on Wednesday 10 June. This is the second group of executions during this week. On Monday June 8, 11 prisoners were executed in the same prison. Iran Human Rights, June 13, 2015: According to sources Iran Human Rights (IHR) has been in contact with, 11 prisoners were hanged in Ghezel Hesar Prison on Wednesday June 10. These prisoners, who had mainly been transferred to solitary confinement on Saturday June 6, were convicted of drug related charges. IHR reported on June 6 about the transfer of 25 prisoners with drug charges for execution. These prisoners had been transferred from different rooms of Unit 2 of Ghezel Hesar Prison and the “Anti-narcotic headquarters”. 11 of the prisoners were executed on Monday June 8. According to our sources, 10 of the 11 prisoners who were executed on June 10 were: Reza Mansouri, Mostafa Kouhi, Salar Mahmoudzadeh, Reza Karegari, Behrouz Sahraei, Ali Taghipour, Yousef Kounani, Masoud Abbasi, Mohammad Jannati, and Hassan Nourmohammadi. At the present moment 22 of the 25 prisoners have been executed, while three of the prisoners were reportedly not executed and are still in the quarantine section of the prison. These prisoners are identified as Jasem Veysi, Ali Afshari and Gholamreza Soltani. Since May 6 Iranian authorities have executed 77 people in Ghezel Hesar Prison. IHR has repeatedly called on the international community to react to these executions. However, the international community has still maintained its silence. IHR recently published a video containing testimonies from two of the death row prisoners of Ghezel Hesar speaking about torture under interrogations. Tens of Baha’is‘ shops in the cities of Rafsanjan, Kerman, Sari and Hamadan have been sealed by government authorities in an effort to pressure Baha’is not to observe their religious holy days. These shops, mostly small businesses, offering services like household appliance repairs or the sales of automobile parts or clothing, were sealed in April and May when the owners closed their stores in observance of Baha’i holy days during those months. Further to these closures, Iranian authorities told some of the shopkeepers that if they do not sign a pledge that they will only close their stores on recognized national holidays their business licenses will be revoked and their stores closed permanently. „This recent attempt by authorities in Iran to prevent Baha’i shop owners from observing Baha’i holy days on a few days of the year is an act against the laws of Iran itself and one which violates international human rights norms,“ said Ms. Diane Ala’i, representative of the Baha’i International Community’s United Nations office in Geneva. Many or all of these same shops had been shut down by authorities last October when at least 80 shops in those same cities as well as in the city of Jiroft were closed by authorities after the owners temporarily closed their businesses to observe Baha’i holy days. After extensive appeals by the Baha’is, and some international publicity about the closings, the shops were eventually allowed to reopen. These actions have been reported in the 2015 annual report of the European Parliament Intergroup on Freedom of Religion or Belief and Religious Tolerance titled „State of Freedom of Religion or Belief“. „It is all clearly part of a continuing effort by the government to make Baha’is invisible by striving to eliminate all aspects of their existence,“ she said. The news comes just as governments, employers, and workers‘ representatives from around the world gather in Geneva for the 104th International Labour Conference, where the topic of discrimination in the workplace is a major concern. „The fact that news of these incidents, blatant examples of religious persecution, come as the world is discussing workplace discrimination only serves to highlight once again the degree to which Iran has failed to live up to international human rights norms,“ said Ms. Ala’i. She noted that in 2014, the International Labour Organization, at the 103rd International Labour Conference, called on Iran to address discrimination against Baha’is, saying it has „deep concern“ regarding „the systematic discrimination against members of religious and ethnic minorities, particularly the Baha’is, and once again urges the Government to take immediate and decisive action to address such discrimination“. Baha’is are officially restricted from engaging in certain types of businesses. 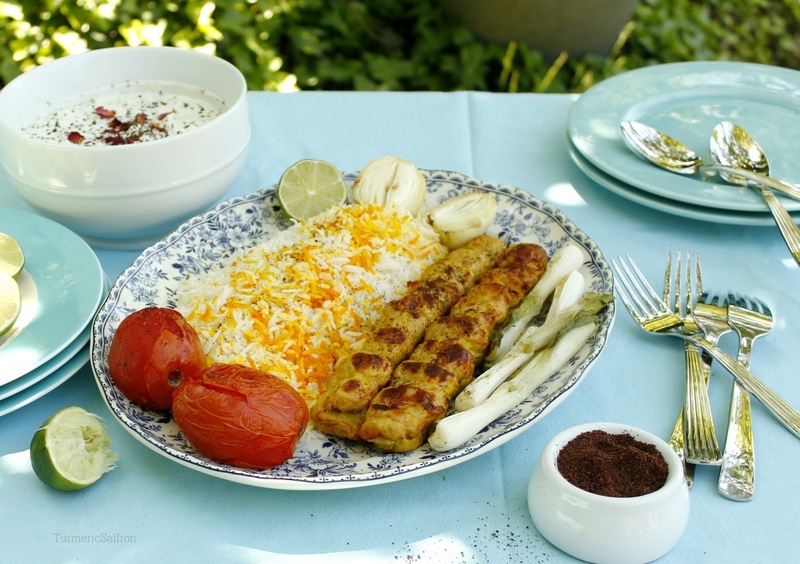 In 2007, the Public Places Supervision Office issued a letter to police throughout the country saying Baha’is should be banned from „high-earning businesses“ and from „sensitive“ categories, such as the press, jewelry, photography, and computer and Internet-related businesses, as well as the food industry. Moreover, small shops run by Baha’is have not only been the subject of frequent closures by government agents but also arson attacks and other assaults, perpetrated in an atmosphere where hatred against Baha’is has been incited through a national anti-Baha’i media campaign, as has been documented previously. Iranian Cyber Police and Judiciary officials reported a new wave of arrests of Internet users this week. Colonel Gholamreza Kazemzadeh, Chief of Iran’s Cyber Police, told reporters on June 8 that an individual he claimed managed 23 groups on the WhatsApp and Line social media networks had been arrested. “The Cyber Police in Shahroud [in Semnan Province] monitored virtual groups and determined that an individual with the handle of ‘Edmond’ had started 23 anti-cultural groups on the Line and WhatsApp applications. While publishing falsehoods and immoral content, these groups retained the group members’ personal information as well. Investigations indicated that he is a 27-year-old man who claims to be a Christian, and had organized 300 individuals in 23 groups on Line and WhatsApp,” Colonel Kazemzadeh told the reporters. The Spokesperson for Iran’s Judiciary, Gholamhossein Mohseni Ejei, told reporters during his weekly press conference on June 8, that six individuals who were active on social networks had been arrested. 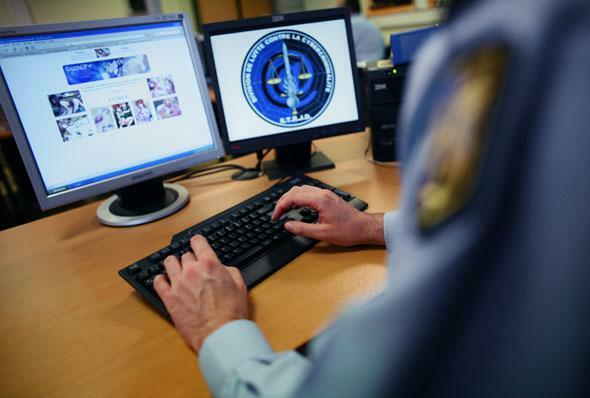 “These individuals published illegal invitations on social networks. They were arrested by intelligence and security agents, and so far it has been determined that they had anti-security tendencies. The case is under investigation and so far five to six people have been arrested. More individuals may be detained over the coming days,” said Ejei. In an apparent move to prepare for Iran’s next elections, held for the country’s Parliament in March 2016, Hossein Zolfaghari, Deputy Interior Minister for Security, announced on June 2 that an Elections Security Headquarters has been established inside the Interior Ministry, aiming “to monitor cyberspace.” According to Zolfaghari, the responsibility for monitoring cyberspace is upon the Intelligence Ministry, the IRGC, and the Police. The widespread use of social networks on the Internet, especially among the young, has generated great concern among Iranian security and intelligence officials, who continue to crack down on any expression of dissent or activities they disapprove of online, in an effort to intimidate Internet users. The authorities have also put much effort into developing tools that allow them to monitor and restrict Internet access and activities. Mohammadreza Rostami, Advisor to Minister of Sports and Youth, said on June 5 that Iranians spend an average nine hours on social networks on the Internet. “[60%] of Iranians use Facebook and spend a considerable amount of time on this network. Also, 33.2% of Iranians use the Internet every day and 25% of them use it once a week,” said Rostami. Mahmoud Vaezi, Iran’s Minister of Communications and Information Technology has repeatedly reassured the public about protecting the users’ private domain in this project. Clearly, however, such a project aims to enter and violate the citizens’ private domain in order to monitor and restrict their online activities. Research by the International Campaign for Human Rights in Iran indicates that since April 2015, and particularly during recent weeks, there has been a marked disruption in access to Instagram, which seems to indicate progress in the government’s “smart filtering” project. According to this research, political and human rights activists are targeted as the main focus of “smart” (or selective) filtering, whereby certain images they post are routinely selected for blocking. If the same images are posted by another user, however, other users can see and access that image. In his annual report published on May 22, 2015, the UN Special Rapporteur on the promotion and protection of the right to freedom of opinion and expression, David Kaye, cited blocking the Tor anonymity tool, forcing registration of IP’s inside Iran and Internet cafes, and forcing the registration of the full identities of website and cell phone owners as violations of the users’ rights.